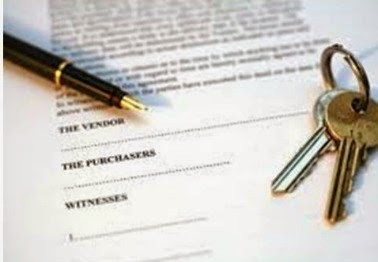 If you're serious about purchasing a Lexington home, obtain a prequalification letter before you begin shopping. If you don't, you may have a hard time getting the attention of home sellers or real estate agents. Prequalification involves choosing a mortgage lender and a loan program and providing some information. Some lenders' prequalification process is pretty basic –they'll ask you about your income, debts and assets, and they'll calculate a maximum loan amount and purchase price based on that information. Loan officers may not verify your information or check your credit rating. Other lenders will be much more thorough – there is no industry standard for prequalification. Ron and Cecilia Jones have been pre-qualified for a residential mortgage of up to $300,000 at an interest rate of up to 5.5 percent. This pre-qualification letter does not constitute loan approval or commitment to rate, fees, or term. Any misrepresentation in the loan application or adverse change in the applicants' financial position may void this pre-qualification letter, as would a poor credit history by accepted standards. A completed loan file with an acceptable appraisal must be provided for underwriting review before a loan decision can be made. If you have any questions or would like additional information, you can reach us by phone at 888-888-8888 or via email at info@abcmortgage.com. Notice that there is nothing in this letter to indicate that the would-be buyers are capable of being approved for a mortgage. It does, however, indicate that they're not just looking on impulse; they have at least approached a mortgage lender about financing. Ronand Cecilia Jones is pre-qualified for a residential loan in the amount of $300,000 to purchase property to be determined. This qualification is based on a 30 year conventional mortgage at 6.5% interest with total property taxes not to exceed $6,500. Based upon information received at application, along with credit and income verification received and reviewed by XYZ Mortgage Company, the applicants meet the requirements for a conventional loan at the above-listed terms. We have also reviewed cash assets and reserves of the applicants, and determined that they have sufficient funds to complete the transaction. This pre-qualification letter does not constitute loan approval or commitment to rate, fees, or term. Any misrepresentation in the loan application or adverse change in the applicants' financial position may void this pre-qualification letter, as would a poor credit history by accepted standards. If you have any questions or would like additional information, you can reach us by phone at 888-888-8888 or via email at info@xyzmortgage.com. This pre-qualification letter is not intended to confer any rights or privileges upon third parties including, but not limited to, seller of real property. A completed loan file with an acceptable appraisal must be provided for underwriting review before a loan decision can be made. You can see that in this case, the lender has checked credit and reviewed supporting documentation. A letter like this would inspire more confidence in both buyers and sellers. Note: when you're negotiating to purchase a house, you might not want the seller to know how much you're prequalified to borrow. If, for example, you're offering $275,000 with a $240,000 mortgage for a house listed at $300,000, you probably don't want the sellers to see a letter prequalifying you for a $325,000 purchase with a $300,000 mortgage. Ask your lender to give you several letters with different amounts, or simply request a letter that conforms to the offer you plan to make.